Bull Lodge is a very good example of a medium-sizedÂ bed and breakfast establishment where the owners pride themselves on a friendly approach, exemplary hygiene and cleaning standards, and excellent well-cooked breakfasts.Â I have stayed there over several years, mainly for about ten days each July, and have never been disappointed in any aspect of my stay. Bull Lodge is a comfortable and warm B&B where I would be delighted to return. Roy and Dennis go the extra mile to ensure that their guests have everything they need. The B&B is a very easy walking distance into central York making it an ideal destination. I stay at Bull Lodge approx. 15 times a year, for one night at a time. My arrival/departure times are somewhat unpredictable and sometimes at antisocial hours. Roy and Dennis are unfailingly gracious and welcoming. I'm made to feel very comfortable. Only complaint: I wish I had longer to enjoy the excellent breakfast! As always it was a pleasure to stay at Bull Lodge. 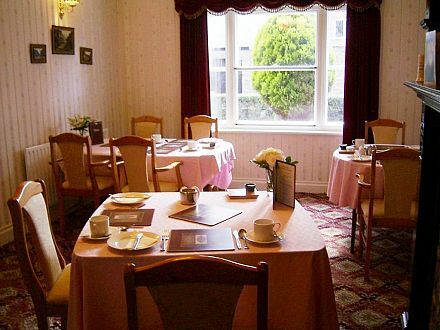 Warm and friendly atmosphere, very clean and cosy rooms, delicious breakfast! Excellent value for money! Thank you for your hospitality! This delightful B&B in a cosy lane is off the beaten tourist path, but only a few minutesâ€™ walk from the York city walls or the university. 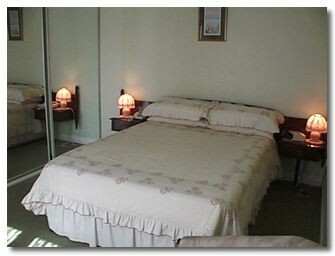 Both the room and the bed were very comfortable, and Roy and Dennis give excellent advice. The full English breakfast will satisfy you for most of the day. I have stayed here several times while doing family history research. It is within walking distance to the Borthwick and now there is a bus stop just down the street that stops outside the library. Rooms are very clean and breakfast is cooked to order. One time they even helped me by putting air in a low tire. Dogs welcome by arrangement. No charge. Welcome to our modern, detached home located in a quiet, tree-lined, side-street, just a short walk from York's old centre and ideally situated for exploring York's many historic buildings, sights and attractions and the surrounding areas. Free Wi-Fi throughout. * Bull Lodge is totally non smoking throughout. * All bedrooms, except the ground floor room, are on the first floor (up one flight of 13 stairs). * All bedrooms are comfortable, with wash hand basin, facilities for making coffee and tea, LCD TV with Freeview, docking station for iPod, digital radio and hairdryer. We provide all bed linen, towels, liquid hand soap and shower gel. * The first floor rooms are either en suite with shower and toilet or standard sharing bathroom facilities. 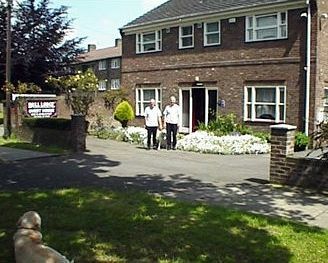 A ground floor double bedded room with en suite shower and toilet, designed for elderly or guests that have impaired mobility, has parking space just outside the door and storage and recharging facilities for electric mobility vehicles next to the room. * Free private, enclosed on-site parking with security lights. Secure garage space for motorbikes and bicycles. * Large guest lounge with games and books. The house is centrally heated and double-glazed throughout. * The full English Breakfast is freshly cooked with vegetarian and healthy options. Snacks on request. * Dogs welcome after prior discussion - we make no nightly charge. St. Nicholas Fields - the largest nature reserve in York is just 100 yards down Bull Lane where both you and your dog can get plenty of fresh air and exercise. * The city centre is three-quarters mile (1 km). City Walls at Walmgate Bar about a quarter of a mile.The University of York Campus, Business and Science Park and Borthwick Institute about half a mile. * Intercity bus stops and the rail station are located just the other side of the city centre. The FirstYork number 10 bus service (Claret Line to Stamford Bridge) links them from just round the corner of the rail station in Leeman Road (outside the Royal Mail depot), via the city centre, to Lawrence Street. Alternatively East Yorkshire buses 45,46 and 47 pick up just? to the left side of the station exit. Ask for the St. Joseph Convent stop (second stop after Walmgate Bar) and the bus drops you 100 yards before Bull Lane.